The Obama administration hasn't exactly been the most cooperative when it comes to the efforts of the House Select Committee on Benghazi. Case in point: Chairman Trey Gowdy asked the Pentagon back in February if his panel could interview two relevant drone pilots about the fateful night of September 11, 2012. It wasn't until this past week, three months after his inquiry, that the department complied. What was the holdup? In a letter to the committee, the Pentagon expressed confusion as to why Gowdy and the other panelists needed to interview the pilots, since they already had access to video from the Benghazi raid. The interviews were "unnecessary," the Pentagon concluded. "It remains unclear what additional information could be gained from these interviews, especially the pilots,” the Defense Department wrote in the letter. After pressure from the committee, they seem to have changed their mind. While Gowdy was "glad" the DOD finally came around and honored his request, he noted a separate witness that remains up in the air. Democrats have claimed that the committee is being used as a political tool for the White House - an argument which was given some ammunition this fall when GOP House Majority Leader Kevin McCarthy told Sean Hannity the panel's findings were in direct correlation to former Secretary of State Hillary Clinton's poor poll numbers. Yet, Gowdy has pushed back against these attacks, insisting he and his fellow committee members are focused on bringing in key witnesses because "the families of those killed and injured in Benghazi and the American people deserve to hear from any witness who can potentially provide relevant, probative evidence." The two drone pilots the panel interviewed this week, along with an eyewitness to the Benghazi attacks, brings the committee's number of witnesses to 102. Stonewalling the Benghazi committee helps no one. 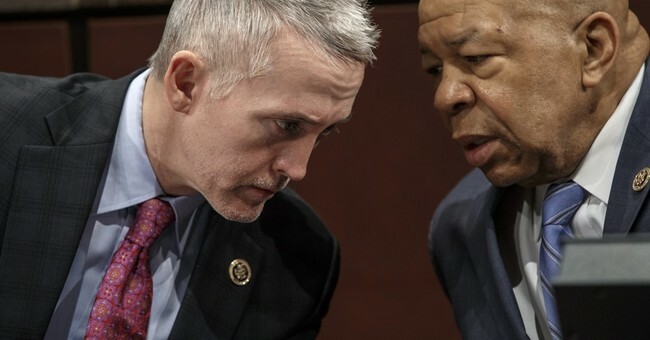 Gowdy and company seem to be the only ones searching for answers, therefore the White House should be giving them any and all resources available.